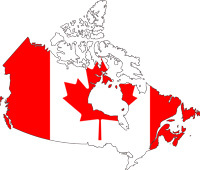 We connect you with U.S. companies displaying and demonstrating their products and services at trade shows and events in Canada and the United States. Through our International Buyer Program, we take you to major U.S. industry trade shows to meet pre-screened U.S. suppliers. From travel logistics to scheduled introductions and on-site business counseling, we strive to help you optimize your trade show experience. Below is a list of trade missions and events organized or sponsored by the U.S. Commercial Service aimed at developing partnerships between U.S. exporters and Canadian buyers. Expand to the U.S. Workshop; Ogdensburg, N.Y.